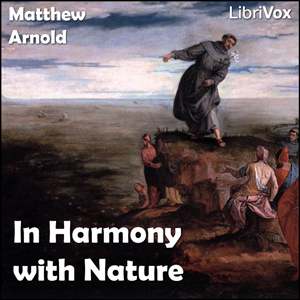 LibriVox volunteers bring you 16 recordings of In Harmony with Nature. by Matthew Arnold. This was the Weekly Poetry project for July 8, 2012. Matthew Arnold was a British poet and cultural critic who worked as an inspector of schools. He was the son of Thomas Arnold, the famed headmaster of Rugby School, and brother to both Tom Arnold, literary professor, and William Delafield Arnold, novelist and colonial administrator. Matthew Arnold has been characterized as a sage writer, a type of writer who chastises and instructs the reader on contemporary social issues.